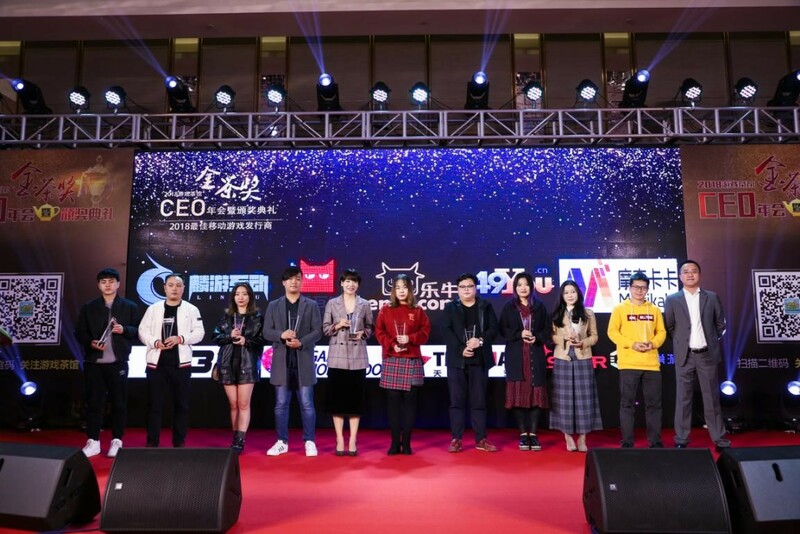 The 6th Game Teahouse & Chain Teahouse CEO annual conference and the Jincha awards ceremony were held on January 15, 2019 in Guangzhou. Game Hollywood (02022.HK) was awarded with the 2018 Best Mobile Game Publisher award for its outstanding work. The Jincha Award, which is held by Game Teahouse, is one of the most influential awards in the gaming industry in China. It is used to praise outstanding game companies and games in China. 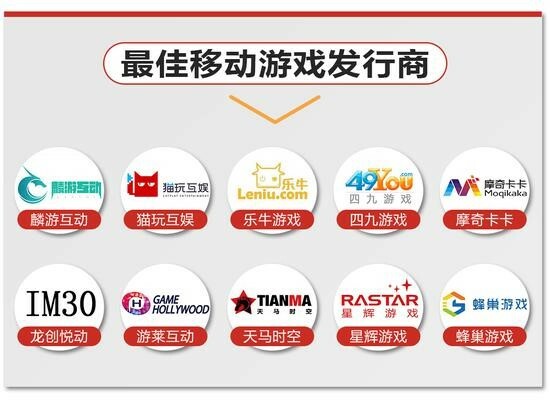 As one of the best game companies in China, Game Hollywood was awarded as 2018 Best Mobile Game Publisher. James Huang, COO of Game Hollywood, was invited to attend the Jincha awards ceremony. He said, “I am very honored to have such an objective and professional award. It means so much to our international team. We will keep working with domestic game companies for oversea products in the future." As a comprehensive Internet game company, Game Hollywood has departments that are responsible for both R&D and distribution. Up to now, we have successfully released nearly 100 games worldwide, including mobile games, browser games and H5. We have over 60 million registered users. Our ace product "DDTank" series have been recommended by Google and Apple store in China, Brazil, Singapore, Malaysia, Thailand, Vietnam and other places. In 2018, we helped publish a Japanese style strategic mobile game - Robot Tactics and it was recommended by Google in over 100 countries. It is popular all over the world. Although development of the whole gaming industry has slowed down in 2018, this may be an opportunity. 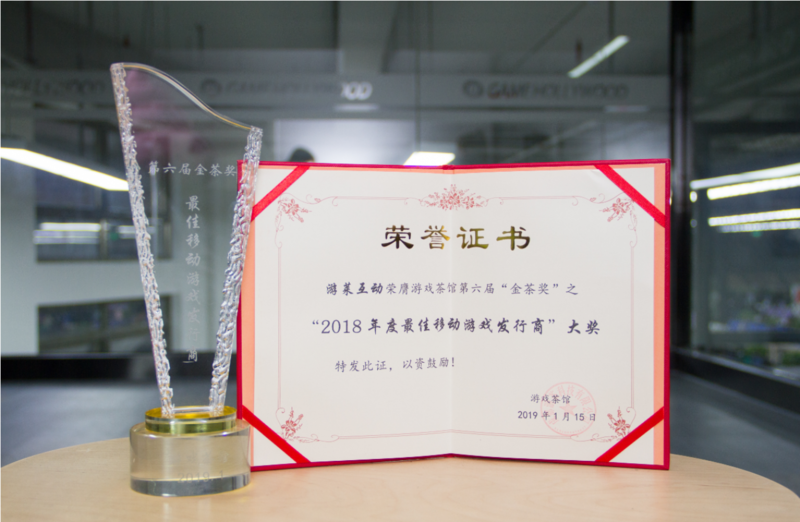 In 2018, Game Hollywood was elected as Vice-President of Guangzhou Gaming Industry Association and awarded with the Jincha Award for 2018 Best Mobile Game Publisher. Game Hollywood was also awarded with the 2018 Zhuoer Award for Top 10 Most Popular Windows Games in China for "Dragon Awaken". In 2019, Game Hollywood will participate in public welfare and try our best to be a humanistic enterprise with a high degree of social responsibility. We will create a high-value mobile game operation and distribution platform, which will bring users better games.